NOTE: The Doors was a 4-track recording. As such, the surround portion of this multichannel mix is intended to be room ambiance. The surround sound program on the Doors SACDs comes from the original 96K, 24-bit files mixed and mastered by Bruce Botnick for the DVD Audio Doors/Perception release. Those mixes were made from the original 8-track, 15 i.p.s. analog master tapes, with the exception of this title, The Doors, which was recorded to 4-track. For the SACDs, the mixes were then up-sampled without filters to DSD using the Weiss Saracon format converter and authored by Gus Skinas at the Super Audio Center. One of rock music’s most famous debuts, The Doors self-titled 1967 smash is legend. And now it becomes the kick-off for a positively stunning reissue series from Analogue Productions! The Doors was born after Jim Morrison and Ray Manzarek — who’d met at UCLA’s film school — met again, unexpectedly, on the beach in Venice, CA, during the summer of 1965. Although he’d never intended to be a singer, Morrison was invited to join Manzarek’s group Rick and the Ravens on the strength of his poetry. The group later changed its moniker, taking their name from Aldous Huxley’s psychotropic monograph "The Doors of Perception." The band signed to Elektra Records following a now-legendary gig at the Whisky-a-Go-Go on the Sunset Strip. Analogue Productions and Quality Record Pressings are proud to announce that these six studio LP titles — The Doors, Strange Days, Waiting For The Sun, Soft Parade, Morrison Hotel and L.A. Woman — are featured on 200-gram vinyl, pressed at 45 rpm. All six are also available on Hybrid Multichannel SACD! All were cut from the original analog masters by Doug Sax, with the exception of The Doors, which was made from the best analog tape copy. "If you listen to all the Doors albums, no attempt was made to create sounds that weren't generated by the Doors, except for the Moog Synthesizer on Strange Days, although that was played live in the mix by Jim, but that's another story. The equipment used was very basic, mostly tube consoles and microphones. Telefunken U47, Sony C37A, Shure 56. The echo used was from real acoustic echo chambers and EMT plate reverb units. In those days, we didn't have plug-ins or anything beyond an analogue 8-track machine. All the studios that we used, except for Elektra West, had three Altec Lansing 604E loudspeakers, as that was the standard in the industry, 3-track. 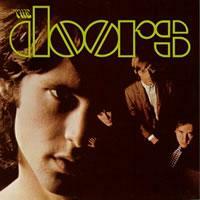 On EKS-74007, The Doors, we used 4-track Ampex recorders and on the subsequent albums, 3M 56 eight-tracks. Dolby noise reduction units were used on two albums, Waiting For The Sun and The Soft Parade. Everything was analogue, digital was just a word. We didn't use fuzz tone or other units like that but created the sounds organically, i.e. the massive dual guitar solo on "When The Music's Over," which was created by feeding the output of one microphone preamp into another and adjusting the level to create the distortion. The tubes were glowing and lit up the control room. Customer Reviews (3.75 Stars) 4 person(s) rated this product. for a recording done in '67 the doors first album sounds great in SACD. Very good remaster i think. It may sound tiresome but the Doors never sounded better until now on SACD. Yes the DVD-Audio's were very good but this tops it because it's taken from analog which the last were but this somehow magnifies the sounds, you hear the seperation, can feel/hear the room what was where and how far. If Morrison sang serparetely then it was mixed well it feels as though your in the studio/room the sounds are pure with never any distortion and a joy to listen to from beginning to end it tops the DVD-Audio only because the sounds are magnified more here but it sounds like it's from the same mix and not remixed, they did something in 2012 then from 7 years ago something improved the sound by alot not just a little and i do believe in the DVD-Audios and like them but it would be untrue to say that these SACDs aren't a whole lot better. It's an experience only for the true Doors fan, I listened to these 6 releases so often it's sick so it's worth it for me.